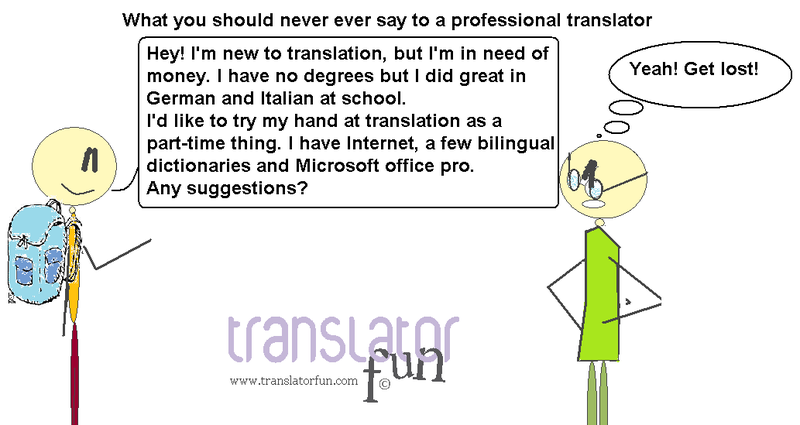 Translators are sensitive people so you need to be extra careful with the words you choose to approach them. This entry was posted in Freelance translator, Fun, lifestyle and tagged Freelance translators, freelancer, getting established by Romina Bona. Bookmark the permalink. Reblogged this on Don´t mess up….